The Asus Eee PC X101CH was designed to be thin and lightweight, for maximum portability. Boasting a profile that’s less than one inch thick and weighing less than one kilogram, it easily slips into bags without adding much bulk. The new Intel Atom Cedar Trail N2600 processor offers almost 3x better graphic performance, supports Full HD video playback, and improves battery life. The fan-less design on the X101CH means zero noise during operation. More details after the jump. 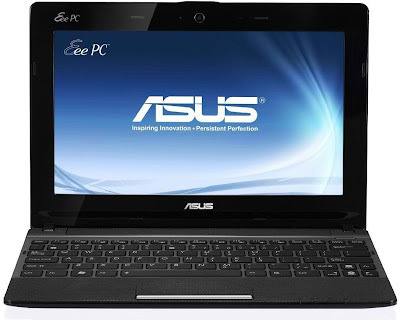 Using ASUS’ exclusive Super Hybrid Engine II (SHEII) power configuration technology, the X101CH is optimized for performance, while having a battery life up to five hours. With an instant on resume to Windows in two seconds and long standby time up to a week, you can get back online quicker than ever. Stay connected a variety of ways. With built in 802.11b/g/n Wi-Fi and Bluetooth 3.0, staying online while on the go has never been easier. You can also easily output video onto your HDTV using the built-in HDMI port on the X101CH. There is also support for Blue-ray 2.0 via external DVD reader/player. The X101CH is preloaded with the asus@vibe store, which provides a fun, easy and convenient center filled with rich cloud computing content. ASUS WebStorage online storage is also preloaded so you can easily and seamlessly tap into the power of cloud computing. At what stores in the Philippines can we buy this? I am kinda interested to have one.